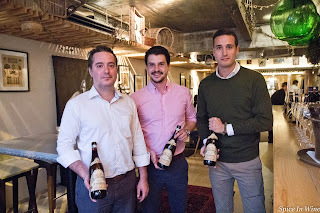 Simone Margheri, the Asia Export Manager of Tommasi Family Estates (www.tommasi.com), was recently in town to share about the winery and its wines. 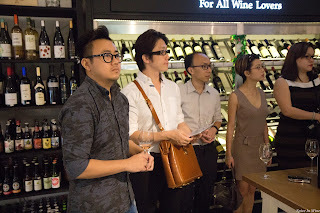 D&D Wines Pte Ltd (www.ddwines.com.sg), the local representative, took the opportunity to organise a dinner showcasing some of the Tommasi wines. The Tommasi family’s affiliation with wine began in 1902, when Giacomo Battista Tommasi purchased a small vineyard in the Valpolicella Classico region. Each generation following the purchase continued with the wine producing tradition. At present 9 family members of the 4th generation are involved in the management, production and marketing of Tommasi’s portfolio of wines. 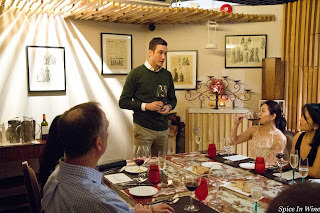 Giancarlo Tommasi is the current winemaker who tends to all the estates within this family. What began in 1902 as a single vineyard plot has over the decades expanded to 205 hectares of vineyard land in the Veneto wine region (105 hectares in Valpolicella Classico region in the hills of La Groletta, Conca d’Oro and Ca’ Fiorian ) and 100 hectares in the Verona DOC region. Over the years, the family has also acquired vineyards in other wine regions of Italy to expand its range of offerings: Lombardy (Tenuta Caseo), Tuscany (Poggio Al Tufo & Podere Casisano) and Puglia (Masseria Suraini). Wines from these vineyards have helped to contribute a range of wine styles from sparkling, rose, white to red wines. Presently wines from the Tommasi portfolio are distributed in 68 countries around the world. Scandinavia, USA and Germany are top markets in terms of volume. 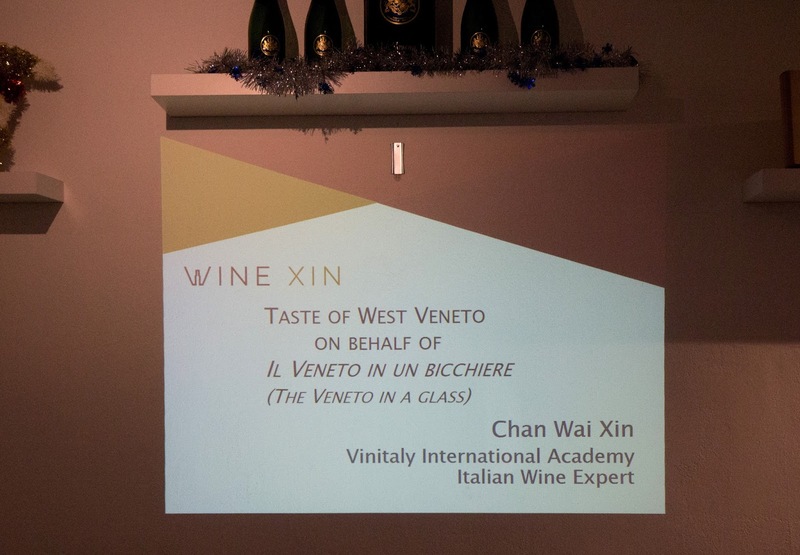 In Asia, the Veneto wines (notably Amarone, Ripasso, Valpolicella Classico Superiore wines) are sold in countries like Singapore, Japan, China, HK, Thailand, Vietnam, Cambodia, Laos, Myanmar, Korea, Philippines, Macau, Taiwan, Malaysia, Indonesia and Mongolia. During dinner wine enthusiasts present were introduced to 4 wines from Tommasi's portfolio. Tommasi Poggio Al Tufo Rompicollo Toscana IGT 2014. This wine comes from its estate in Maremma, Tuscany. The Tommasi family owns 66 hectares of land in Pitigliano and another 80 hectares in Scansano. This is a blend of 60% Sangiovese and 40% Cabernet Sauvignon. It went through fermentation in temperature controlled stainless tanks, followed by maturation in Slavonian oak casks for 12 months. Its shows red berry notes in aroma and palate; an easy, straightforward sip. The Cab Sauvignon element contributes to structure and fruit presence in mid-palate. Tommasi Viticoltori Ripasso Valpolicella Classico Superiore DOC 2014. Here the red wine from Valpolicella underwent refermentation with residual grape skins (from its Amarone wine making process). This second fermentation adds body and richness to an otherwise light bodied Valpolicella red. It’s a blend made with 70% Corvina Veronese, 25% Rondinella and 5% Corvinone. After the second fermentation (called the Ripasso), the wine is aged in Slavonian oak barrels for 15 months. There’s noticeable red and dark fruit notes with hints of pepper in palate. It reveals a medium plus supple body with smooth texture and pleasant finish. Tommasi Viticoltori Amarone Della Valpolicella Classico DOCG 2010 & 2012. The Amarone wines are produced from grapes which comes from hillside vineyards in La Groletta and Conca d’Oro. 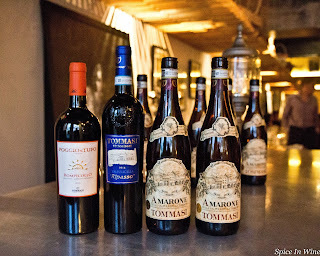 The Tommasi Amarones consist of a blend made up of 50% Corvina Veronese, 15% Corvinone, 30% Rondinella and 5% Oseleta. The grapes are dried for 100 days before pressing and fermentation takes place. The finished wine is aged for 30 months in Slavonian oak barrels before being bottled and aged for another 12 months. Both vintages displayed cherry and plum notes, hint of dried fruit nuances and a savoury appeal backed by a supple body with smooth texture. The 2012 vintage however showed more body, weight and flavour intensity than the 2010 vintage. Simone Margheri explained that this was due to the fact that the 2012 vintage was a warm vintage which resulted in riper berries. The 2012 vintage went on to produce a more powerful, intense and age worthy wine than the cooler 2010 vintage Amarone. One can therefore enjoy the 2010 vintage now (its approachable and drinkable) and age the 2012 vintage for future consumption. Wines from areas bordering Lake Garda. This tasting offered an opportunity to learn about wines from west Veneto; a little further afield from the familiar wine areas of Soave and Valpolicella when one talks about the Veneto wine region. 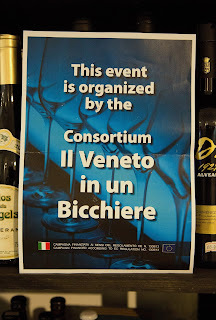 Consortium Il Veneto in un Bicchiere organized this event for the benefit of local wine specialists over here. Our resident Italian wine expert, Chan Wai Xin, was at hand to introduce the wine region and wines. I like to highlight here the latest achievement of Wai Xin. He recently was awarded (in Nov 2016) the Italian Wine Expert certification by Vinitaly International Academy (VIA). 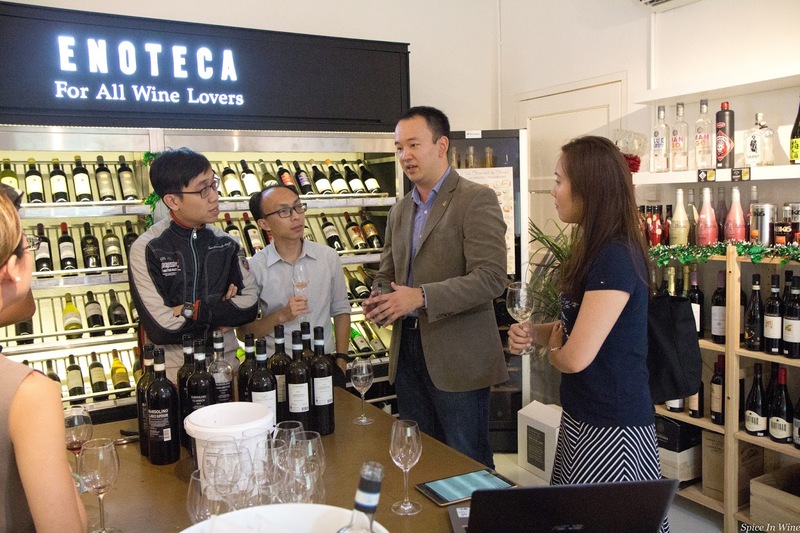 He is the first from Singapore (and South East Asia as well) to get this award; something wine enthusiasts from this little red dot can be proud of. It’s a rare achievement as at present there are only 6 individuals (worldwide) holding this certification. This certification comes on the back of other wine credentials he holds; like the Certified Wine Educator (CWE) and the French Wine Scholar (FWS). 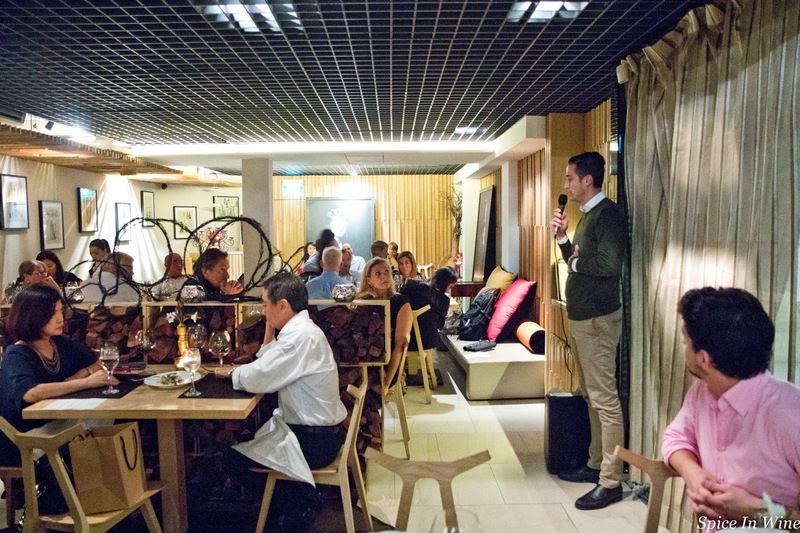 He certainly made an ideal speaker for this tasting. 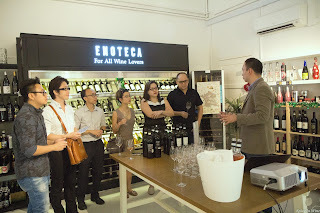 Wines presented during this tasting were produced by a co-operative winery called Cantina Castelnuovo del Garda. 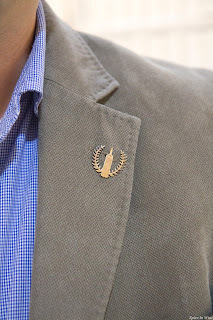 It started in 1958 with 11 members and over the years has grown to currently represent more than 250 wine growers from the west Veneto region. The location of viticulture and vinification is near Lake Garda (Italy’s largest lake), a place which offers ample seafood for those residing there. It’s said of Italy that wines produced in a wine region often goes well with local cuisine. Both elements, over generations, evolve to support and complement each other. It was therefore easy to appreciate why the wines introduced during this event seemed ideally suited for seafood cuisine. 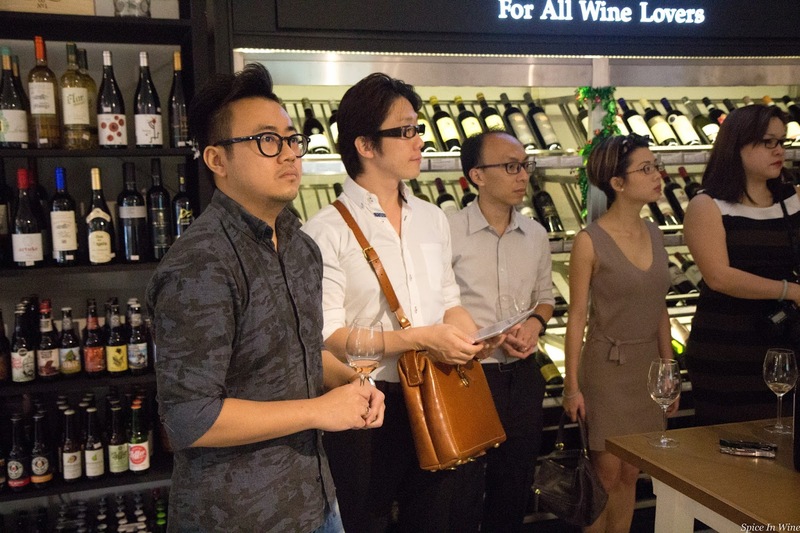 We tasted 3 whites, 1 rose and 2 reds during this event. Most of these wines were aged in stain steel tanks thus retaining freshness and primary fruit elements. Even when oak aging was used, it was for a short period only. Thus these wines displayed freshness, a lively acidity, soft tannins (where the rose and reds were concerned) and a near delicate body; making them easy to approach, food friendly sips. You would want to enjoy these wines (ideally in generous portions and in a relaxed atmosphere) with good food and pleasant company; without going into a rigorous examination of their personalities or evolution in the glass. Some details of the wines. Ca Vegar Lugana DOC 2013. A Trebbiano di Lugana wine. Straw yellow in colour with a noticeable fruity aroma and a freshness in palate. A short aging period of 4 months in stainless steel which helps the wine retain its fresh personality. One highlight from Wai Xin during this event was that not all Trebbiano grapes are the same. Jancis Robinson’s book on Wine Grapes highlights a few distinct Trebbiano varietal (a good start if one likes to learn about Trebbiano grapes. Further, the Trebbiano from Lugana has been identified via DNA profiling to be identical to the Verdicchio varietal found in the Marche region. 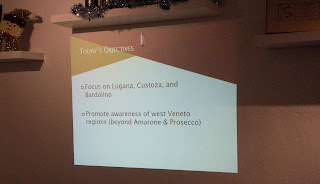 (You can read “Native Wine Grapes of Italy” by Ian D’Agata if you are curious to know the connection between Lugana’s Trebbiano and Marche’s Verdicchio). 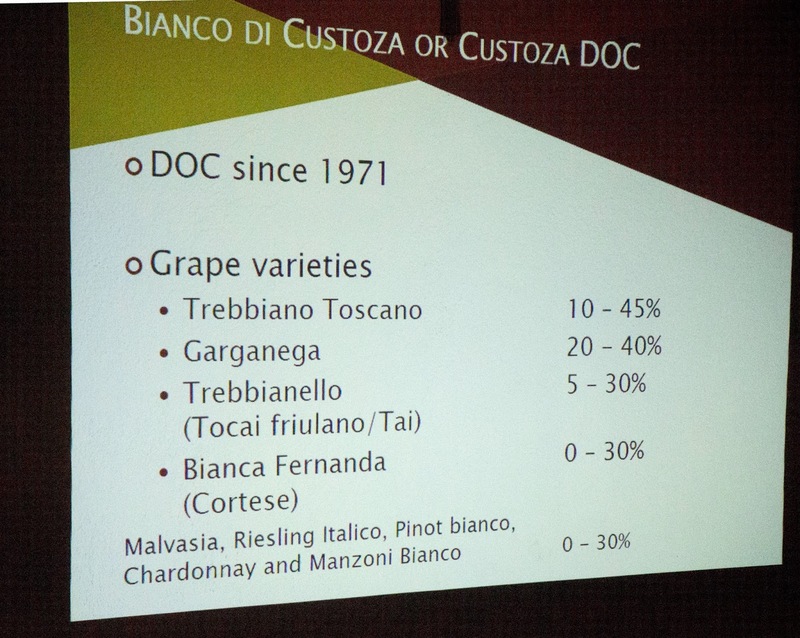 Ca Vegar Custoza DOC 2015. A blend this one; comprising of Garganega, Trebbiano Toscano, Trebbianello and Cortese varietals. Straw yellow in colour with 3 months aging in stainless steel tanks. Exhibits mild floral notes in aroma and a freshness in palate. An easy, approachable light bodied wine. Bosco del Gal Albarell Custoza Superiore DOC 2013. A white blend made using Garganega, Trebbiano Toscana, Trebbianello and Cortese varietals. Aged for 4 months is barrique. Straw yellow colour with vanilla hints in aroma. Wine with some structure in its body. A light-medium bodied wine. Ca Vegar Bardolino DOC Chiaretto Classico 2015. A rose wine made with Corvina Veronese, Rondinella and Molinara varietals. Aged for 3 months in stainless steel tanks. Red cherry notes and a hint of floral aromas. This wine’s appeal is in its delicate body and fresh red fruit primary flavours. 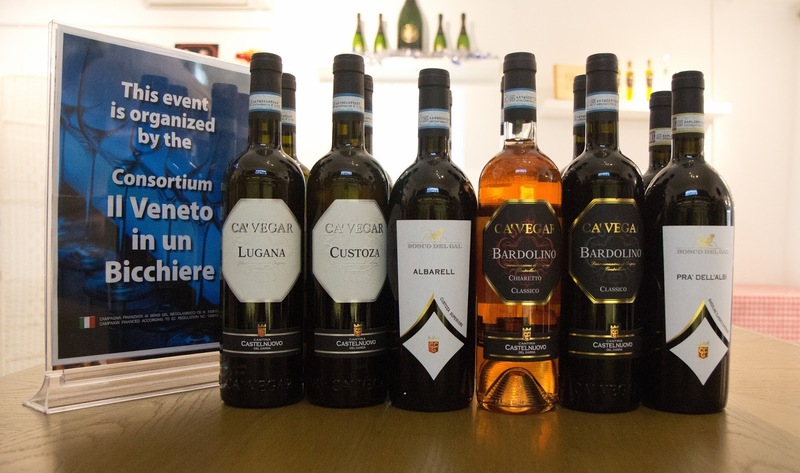 Ca Bardolino Classico DOC 2015. A red wine made with Corvina Veronese, Rodinella and Molinara varietals. Aged 4 months in stainless steel tanks. Ruby red in colour with upfront red berry aromas and violet notes. Palate reveals vibrant, fresh red fruits flavours in a light body. Bosco del Gal Pra dell Albi Bardolino Classico Superiore DOCG 2015. A red wine with Corvina Veronese, Corvinone and Rondinella varietals. Aged for 6 months in oak casks. Bright red in colour (pinot noir like comes to mind). Aromas of ripe, fresh red cherries and a hint of spice in the background. Palate reveals ripe, warm red fruit flavours with a noticeable structure in its mid-body (though not overly firm). 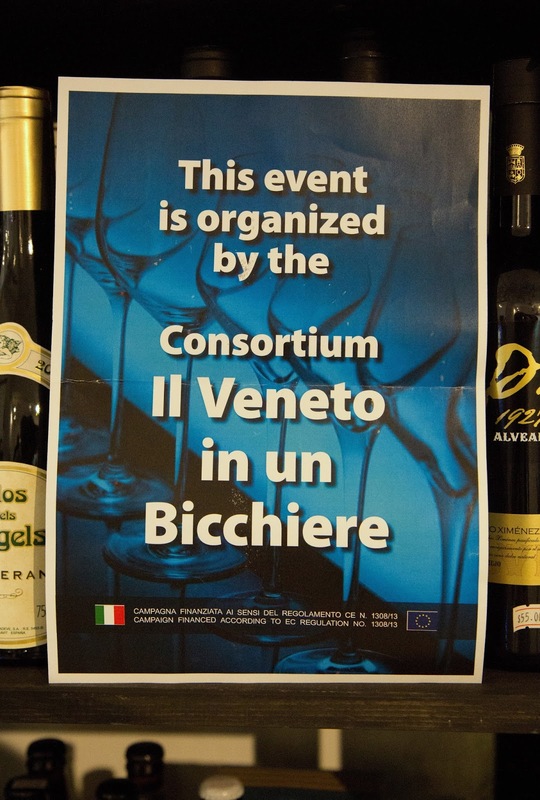 Though Italian wines are well represented in local wine retail outlets in recent years, its still challenging to lay one's hands on wines from the 'less famous' wine producing areas (at least less familiar to those in this part of the world). I must say it is a good effort on the part of the consortium to reach out to local wine specialists and share with them information on such wine producing areas. It certainly goes toward learning and appreciating a little more about what Italy has to offer.